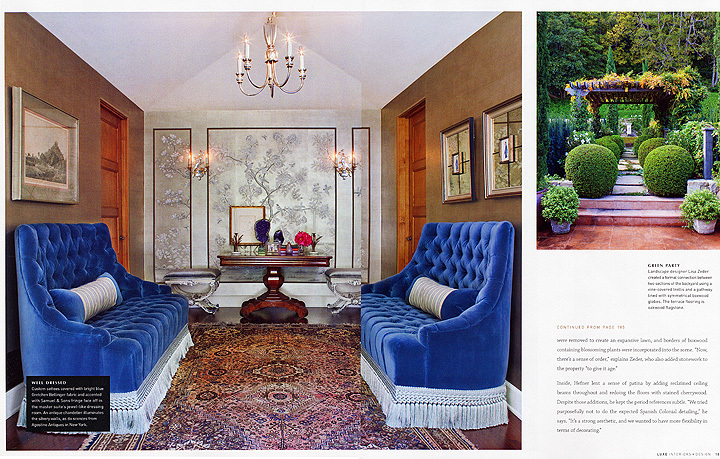 Recently I had a home I shot on the East Coast featured in the New Zealand based magazine “Trends”. 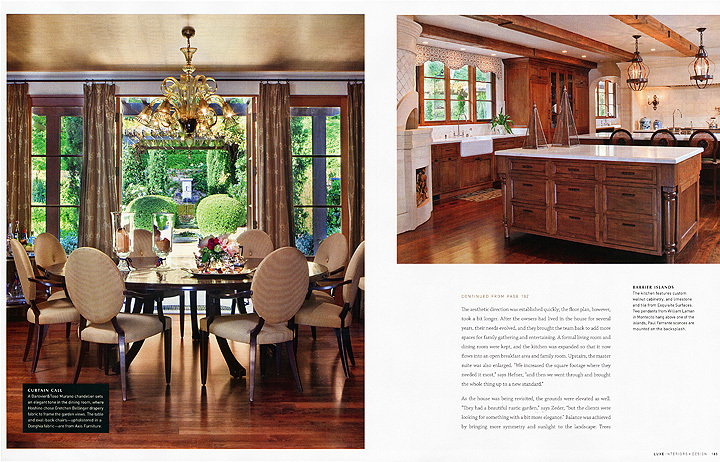 Trends has several titles….this project was featured in the Home & Architectural issue. We spent two days photographing the home and will admit it was one of the most peaceful and serene locations that I have ever been on. Hard to believe over one hundred years ago it was the site of several major Civil War battles…..Being a Civil War buff and a direct descendant of several relatives who fought in the war I tried to imagine what the sound of the cannons and the smell of the smoke must have been like……a truly difficult thing to do in a setting such at this. 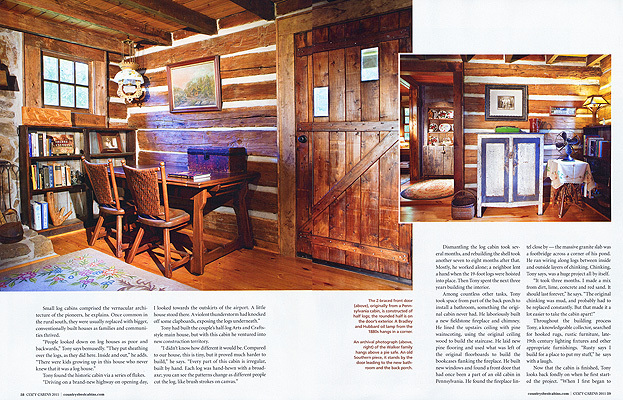 The September issue of Log Cabin Homes has a feature called “Built to Last” that I shot the photography for last October. 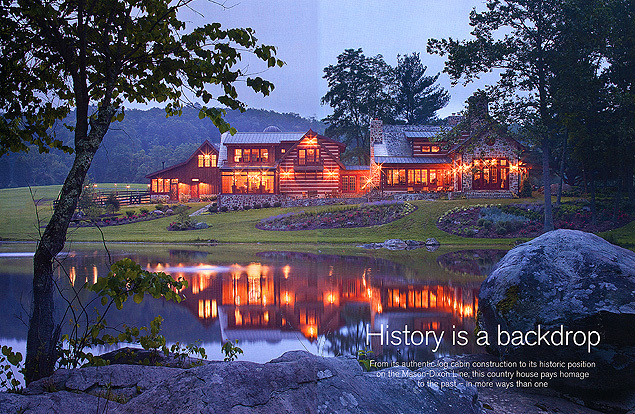 The home was located in Flat Creek, Tennessee. 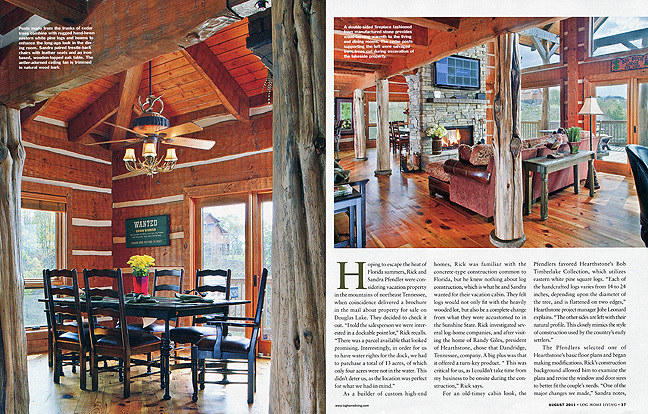 I originally shot the home for my long time good client Mathew Sterchi of Stonemill Log Homes out of Knoxville. I have been shooting for Stonemill for about ten years now and when I get a call from Mathew about a new project he needs shot I know it will be unique and not disappoint. 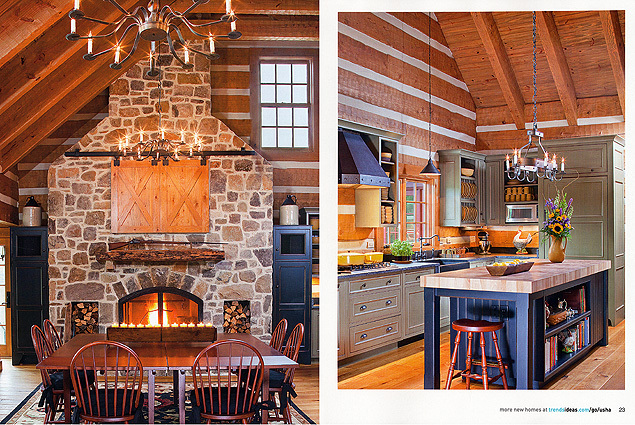 This home here is a perfect example of the clean design that Stonemill brings to each of their projects. 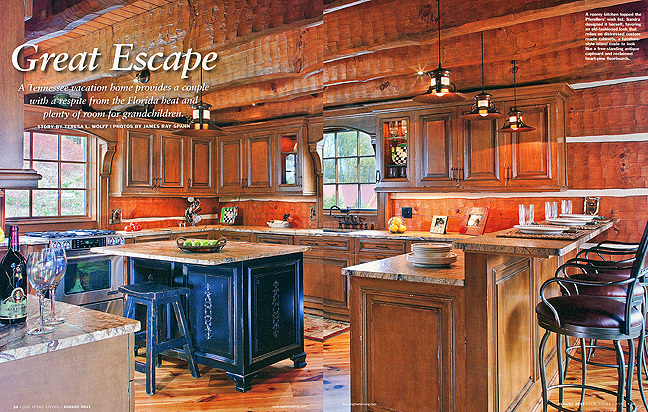 Also, being only 1500 square feet the home design is extremely efficient with the spaces….. Being the size that the home was it was a one day shoot with actually wrapping up early afternoon. Traveling as much as I do, and if I have the time I like to see the local sites if I can. In this case it was the town of Lynchburg (population 361) just down the road. If you didn’t know already, this is where the famous Jack Daniels distillery is, the oldest registered distillery in the U.S. I was informed by the homeowner that the distillery was having their famous Jack Daniels Barb-Q cook off. Well what two better things to partake in…. Barb-Q and whiskey. Little did I know that Lynchburg has been a dry county since prohibition so you can’t buy any alcohol. Yeah your right…. no Jack either………..since I couldn’t have a beer and Jack with my Barb-Q I motored down the road to my next shoot and straight out of that dry county………..funny thing is I will be right back in Lynchburg next month…..this time BYOB for sure. 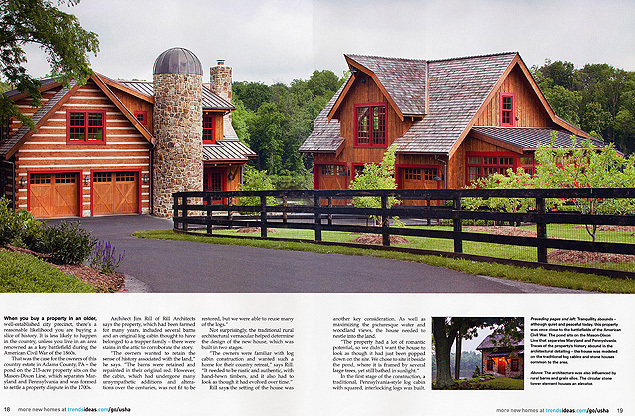 This home was shot on my run through the South and East Coast last fall. I was shooting for several different clients on this particular trip and spent fifteen days on the road shooting ten unique projects. 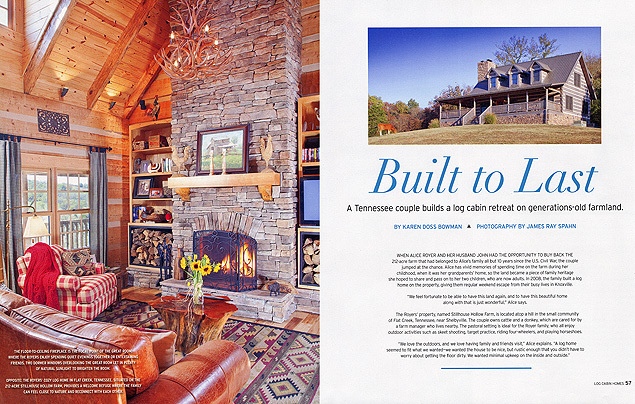 This one was shot for my longtime and great client Hearthstone Log Homes who are based in Dandridge Tennessee. 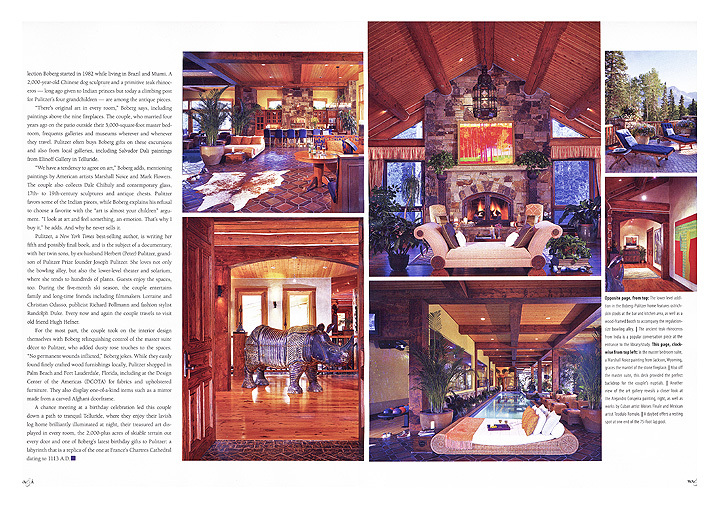 This is one of three projects that I photographed for them on this particular trip. 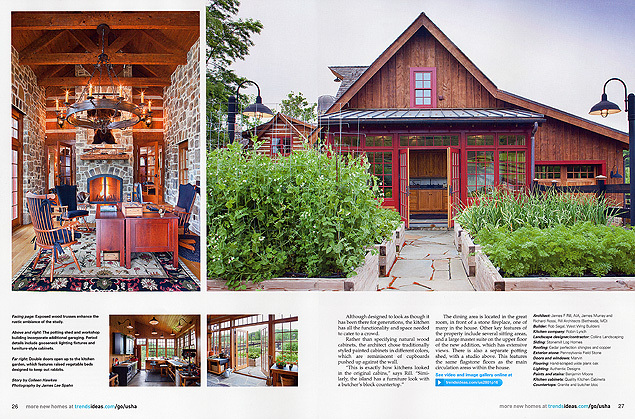 The home was shot for their marketing and portfolio materials. 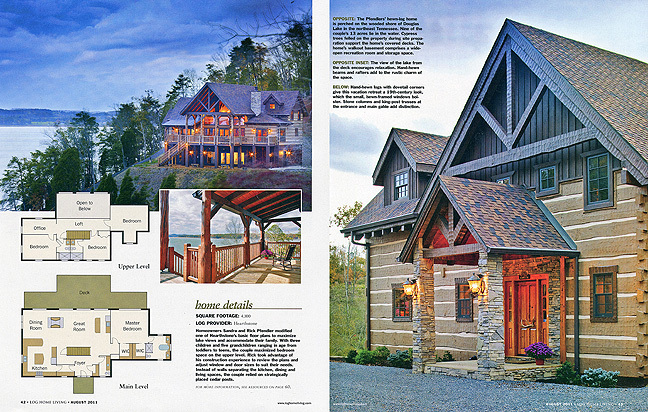 This project is also a perfect example of what we offer to our clients in terms of our relationship and dialogue with a dozen or so Shelter publications. 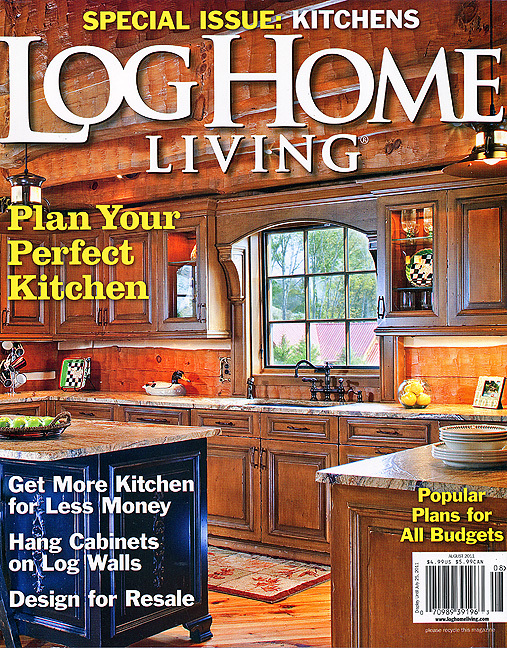 After I shot the house and all the images were processed and delivered to Hearthstone I then submitted the home to Log Home Living and received interest from the Editor right off the bat. 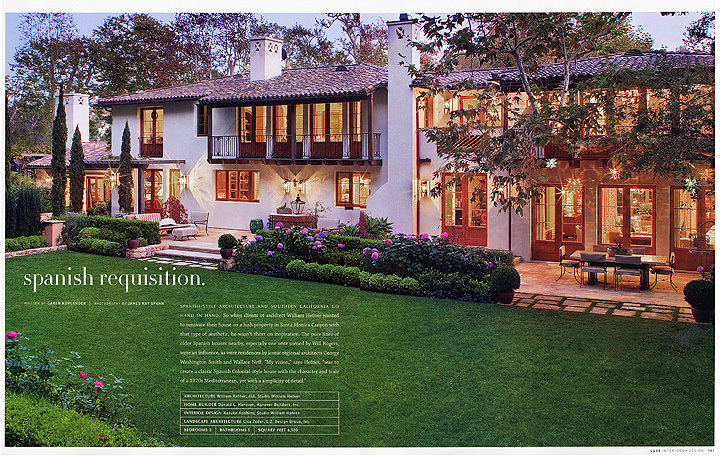 As you can see here LHL ran a full feature on the home and in-return gave Hearthstone additional exposure and PR. I will be shooting for Hearthstone once again this coming fall in North Carolina, Tennessee and Arkansas. I look forward to sharing more images of their projects after this trip is completed! 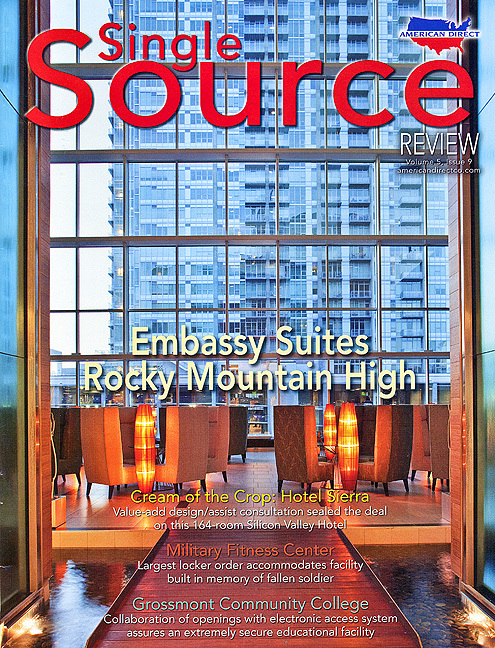 We recently shot the Embassy Suites Downtown Denver location for American Direct. This was for their trade publication “Single Source”. 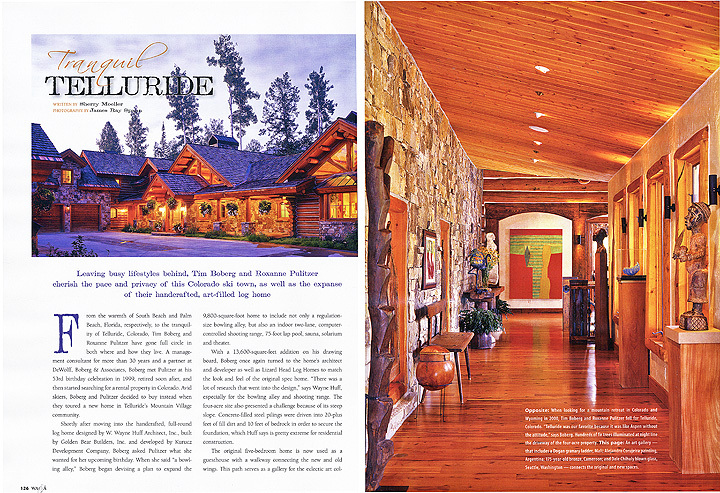 Our images were featured on the cover as seen here and several on the inside of the publication as well. The Embassy Suites Denver is an 18 story hotel development with 403 suites and 17 functioning rooms for a total of 22,000 square feet. This is one of the first Embassy Suites to receive a LEED certification! 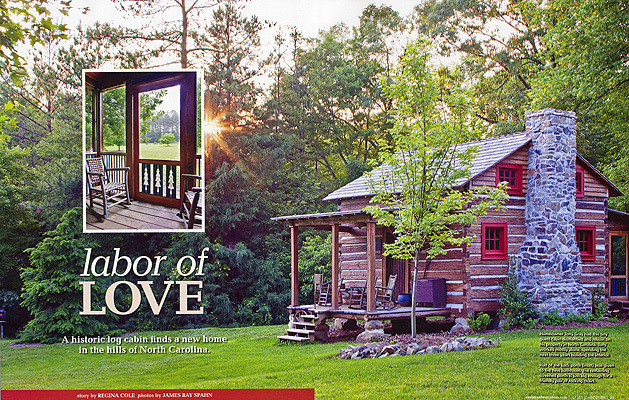 Here is a real interesting project I shot last Spring down in North Carolina for the magazine “Cozy Cabins”. This is actually a guest house that was an original 1800’s cabin that the owner came upon as driving home from the city. Guess the cabin was going to be torn down by the city and removed from its location so they could expand the freeway. The owner talked to the local officials and found out that the cabin was to be removed and condemned, but if he wanted it he could have it if he did all the work in removing the structure. Not only did he remove it, but he rebuilt it one log at time on his property in the country. He also found out from some of the old timers in the area that back in the day the cabin was owned by a pioneer family of ten. Yes ten people living in an eight hundred square foot cabin. No wonder the family had eight children. I guess it would be pretty hard not to bump into your wife from time to time in such a small space. 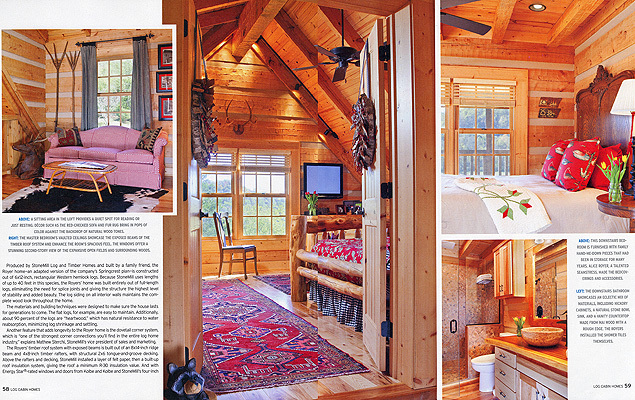 Being that the cabin was only eight hundred square feet it posed a real problem for shooting. Tight spaces as this one are very hard to find just the right composition as well places to hide your lights. 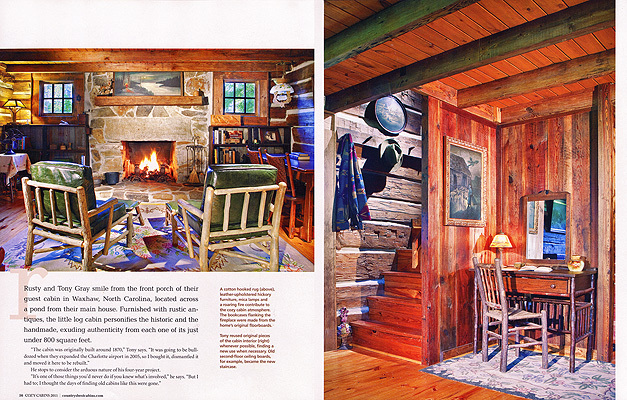 The cabin was extremely dark and needed lot of lights to bring out the details. I went with hot lights and did all of the shooting in the evening and in the morning. One would think with such a small space that you would not need a ton of time to complete the shoot, but this was the reverse. It took a total of about nine hours to complete the shoot. One other note of interest. When I arrived at the house the rain was coming down in sheets. So the exteriors had to wait to the following day which brought the sun out for about an hour before if started to come down again. 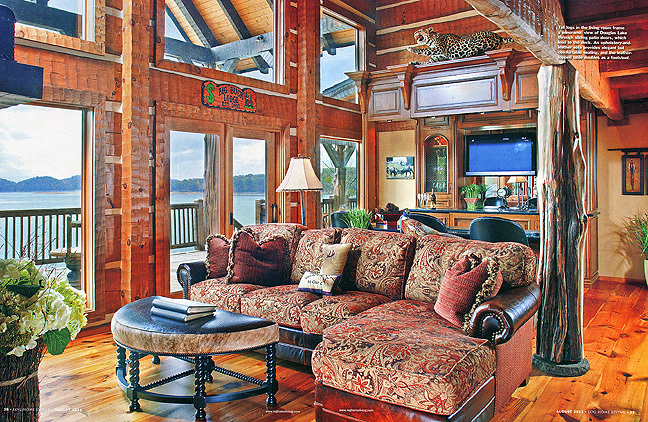 The great thing about the shoot is that the homeowners were kind enough to offer the cabin to me for my lodging. I spent two nights there. I now have just one more incredible story from my photography travels!